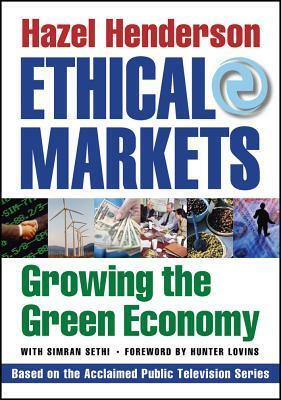 Ethical Markets; Growing the Green Economy (2006) | Moral Markets? 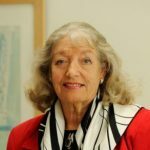 For more than three decades, Hazel Henderson has been at the forefront of the green economy movement, pushing companies and governments toward a cleaner, greener, more ethical and more female model of business. Today this green economy, based on triple-bottom-line accounting—people and planet into consideration alongside profit—is thriving in the U.S. and around the world. In her new book Ethical Markets: Growing the Green Economy, based on the nationally syndicated public television series of the same name, Henderson weaves statistics and analysis with profiles of entrepreneurs, environmentalists, scientists, and professionals, as she chronicles the maturing of this economic paradigm. This outstanding big-picture view will undoubtedly be heralded as the book that brought the green economy out of the shadows of our consciousness and into mainstream discussion. The old system of booms, busts, bubbles, recessions, poverty lines, and trade wars is crumbling under the pressure of the unsustainable marketplace it has created.People are rejecting old measures of success such as the GNP and the GDP in favor of more encompassing approaches such as the Human Development Index, which considers an economy’s impact on workers, consumers, the environment, and profits. The country of Bhutan, for example, has set up an index to measure its Gross National Happiness. Consumers, investors, and CEOs and are waking up to the fact that “business as usual” is a relic of the Industrial Revolution, it’s the media who is behind on telling this revolutionary story. Henderson points to example after example of companies that are ahead of the curve and have seen their value rise as they move to a triple-bottom-line approach. Investing in their communities creates brand equity; investing in their employees increases worker productivity and ensures recruitment and retention of the best talent; and reducing their environmental impact means they save money on resources and minimize the risk of a costly lawsuit or cleanup. In Ethical Markets, Henderson examines how different aspects of the new green economy are working together to create a healthier more stable world. She explores the impact of the rapidly escalating number of female business owners; the surprising influence shareholder activists are having on corporate responsibility; and the return of the local economy and community investment. Peppered throughout Henderson’s analysis are interviews conducted by Ethical Markets TV host Simran Sethi with the people who are on the ground reclaiming our economic landscape. Author Hazel Henderson [...] is a 'connector' with wide and diverse social circles, a “maven” with broad knowledge about sustainability issues, and a salesperson with charismatic persuasive abilities. These qualities propel the book. 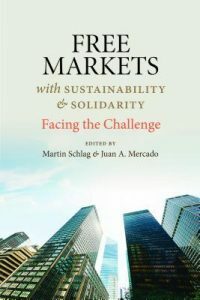 Following the format of the television show on which the book is based, Ethical Markets (co-authored by show host Simran Sethi) conveys information primarily through the voices of experts, lending a living room discussion feel. Many of the experts interviewed serve on the Ethical Markets Research Advisory Board (the appendix list of members runs two full pages in tiny font! ), which adds authority. 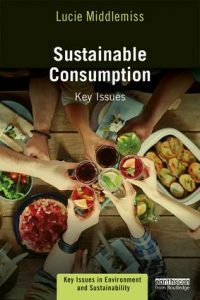 This format ultimately serves the mission of the book best, as readers unfamiliar with sustainability will find comfort in the book’s talkative nature, while those toiling in the field of sustainability may find some of the information old hat to them." 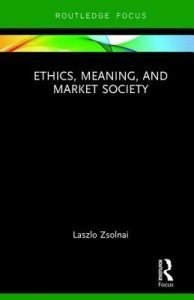 Hazel Henderson is the founder of Ethical Markets Media, LLC and the creator and co-executive Producer of its TV series that led to this book. Hazel Henderson, Ph.D. is an economist, syndicated columnist, and consultant. She created and produces the public television series Ethical Markets. A fellow of the World Business Academy, she serves on several boards and shared the Global Citizen Award with Nobel Laureate A. Perez Esquivel of Argentina. Simran Sethi is an award-winning journalist who produced and anchored the news for MTV Asia, co-created the MTV India news division, and developed programming for the BBC and Doordarshan through her independent production company SHE TV. She is the host and scriptwriter of Ethical Markets and heads video strategy for TreeHugger.com—the leading environmental blog on the internet.